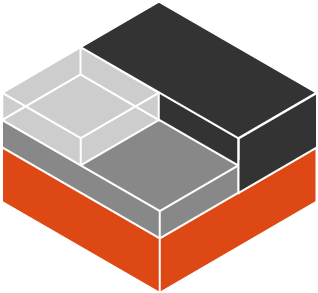 This is the ninth blog post in this series about LXD 2.0. One of the very exciting feature of LXD 2.0, albeit experimental, is the support for container checkpoint and restore. Simply put, checkpoint/restore means that the running container state can be serialized down to disk and then restored, either on the same host as a stateful snapshot of the container or on another host which equates to live migration. A very recent Linux kernel, 4.4 or higher. CRIU 2.0, possibly with some cherry-picked commits depending on your exact kernel configuration. Run LXD directly on the host. It’s not possible to use those features with container nesting. For migration, the target machine must at least implement the instruction set of the source, the target kernel must at least offer the same syscalls as the source and any kernel filesystem which was mounted on the source must also be mountable on the target. The container state will be written to disk and then picked up the next time you start it. Live migration is basically the same as the stateful stop/start above, except that the container directory and configuration happens to be moved to another machine too. As I said before, checkpoint/restore of containers is still pretty new and we’re still very much working on this feature, fixing issues as we are made aware of them. We do need more people trying this feature and sending us feedback, I would however not recommend using this in production just yet. The current list of issues we’re tracking is available on Launchpad. We expect a basic Ubuntu container with a few services to work properly with CRIU in Ubuntu 16.04. However more complex containers, using device passthrough, complex network services or special storage configurations are likely to fail. Whenever possible, CRIU will fail at dump time, rather than at restore time. In such cases, the source container will keep running, the snapshot or migration will simply fail and a log file will be generated for debugging. In rare cases, CRIU fails to restore the container, in which case the source container will still be around but will be stopped and will have to be manually restarted. We’re tracking bugs related to checkpoint/restore against the CRIU Ubuntu package on Launchpad. Most of the work to fix those bugs will then happen upstream either on CRIU itself or the Linux kernel, but it’s easier for us to track things this way. To file a new bug report, head here. If reporting a migration bug as opposed to a stateful snapshot or stateful stop bug, please include the data for both the source and target for any of the above which has been marked with a (*). for some reason(s) for me applying migratable profile was necessary to succeed but I couldn’t find any reference for it here. We deprecated the migratable profile quite a while ago, it’s not present on new installs at all. So sounds like you may have some old LXD config around that may be messing with your containers. I know, I added that as per insights . Strangely enough this only happens to one upgraded system (from 15.04 -> 15.10 -> 16.04), others are working fine. Same package versions, latest everything. In order to avoid the network transfer of the container root, I’m going to install a distribute filesystem on each lxd node. Is it supported? I installed fresh ubuntu 16.04, and stateful snapshots do not work at all. (00.007868) Error (cr-dump.c:1621): Pre dump script failed with 32512! without “–stateful” everything works ok.
(01.045004) Warn (cr-restore.c:1159): Set CLONE_PARENT | CLONE_NEWPID but it might cause restore problem,because not all kernels support such clone flags combinations! (01.123156) Error (cr-restore.c:2182): Restoring FAILED. root@dnxovh-hy001 (node1):~# ssh node2 !! Any clue is welcome ! Pingback: How to migrate LXD from DEB/PPA package to Snap package – Mi blog lah!